During a recent visit to World of Disney in Downtown Disney Marketplace, I spotted a small assortment of Hanukkah-inspired merchandise. This year, the wondrous eight-day celebration begins in the evening on December 16 and ends in the evening on December 24. 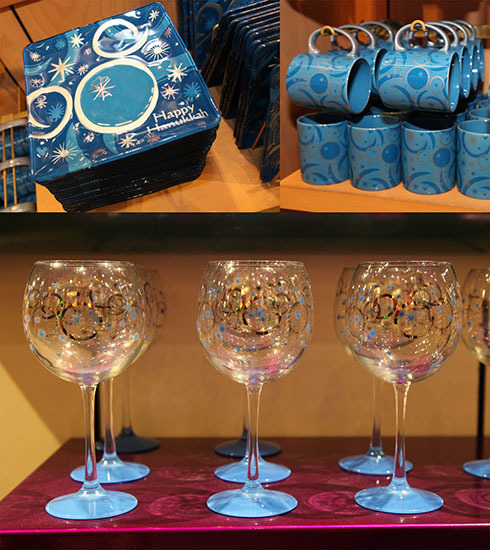 Here is a closer look at some gift items for welcoming the festival of lights during this holiday season. 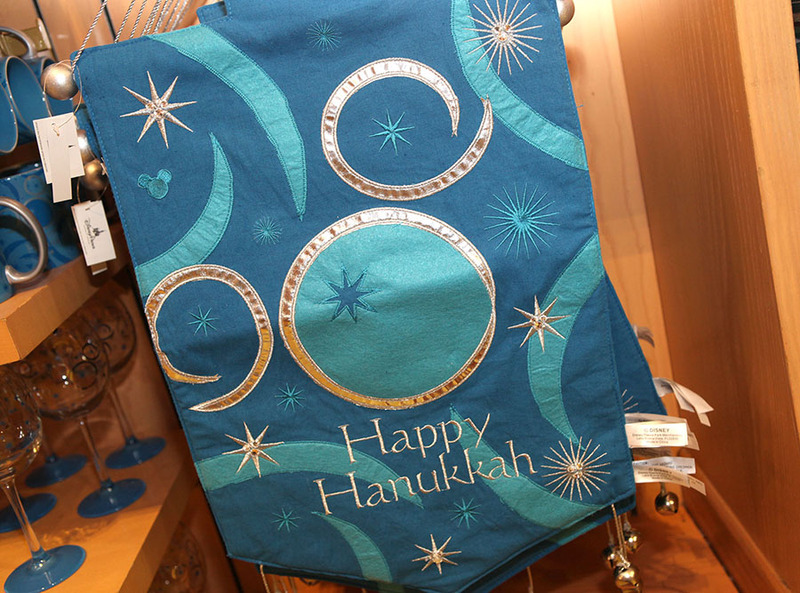 This isn’t the first time Disney Theme Park Merchandise has developed Hanukkah-inspired items. My former teammate turned Disney Pins merchandiser Erin Catalano shared an update on the Disney Parks Blog back in 2011 as seen in this article. This year’s assortment includes a decorative banner with bells, a wine goblet, a mug, and a small serving plate that is perfect for traditional treats. 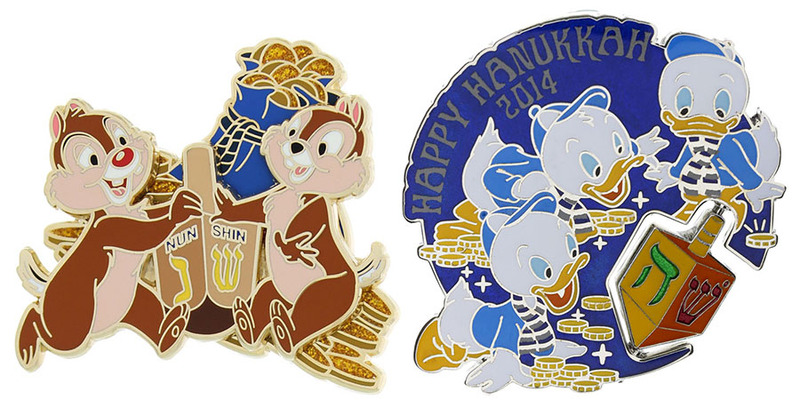 The Disney pin team also created two different pins this year. The Chip and Dale pin is open edition (item number 400007900547), while the pin with Donald Duck’s nephews is limited edition (item number 400008890380). The latter pin features a dreidel that spins. Finally, I’m delighted to share that the seasonal team is currently developing a new Hanukkah-inspired assortment that will debut next year. I wish you a Happy Hanukkah filled with wonder and light!